There are two important rules of running a successful crowdsourcing campaign. First, a complex problem or a task should be divided into a set of smaller, more manageable pieces; each of them could then be offered to a crowd, either sequentially or in parallel. Second, a problem statement presented to a crowd must define in advance all the requirements for a successful solution, along with specific criteria by which this solution will be selected. When correctly applied, these rules make crowdsourcing a powerful tool capable of bringing innovative solutions to technical and business problems (“top-down” crowdsourcing) or generating new product or service ideas (“bottom-up” crowdsourcing). Unfortunately, many business objectives require accomplishing complex, open-ended tasks that can’t be broken into smaller parts; these tasks may also involve re-assessment and change in the course of implementation. Besides, working on these tasks usually demands involvement of multiple interacting workers, something that crowdsourcing in its “pure” form is badly suited for. A team of computer and management scientists at Stanford University have attempted to overcome these limitations of traditional crowdsourcing by introducing a concept of a “flash organization,” a virtual and temporary entity created with a sole purpose of executing a project. 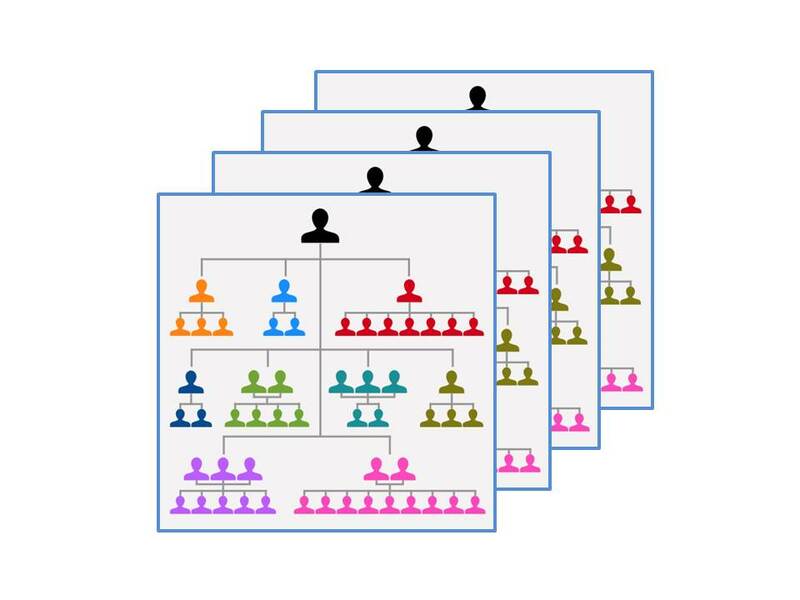 Flash organizations combine elements of traditional crowdsourcing and classical organizational hierarchy. Like traditional crowdsourcing, the workforce in flash organizations is completely virtual and assembled on-demand from online labor markets (such as Upwork). At the same time, these workers are assembled in an organizational structure, and this structure could be promptly modified to accommodate new tasks. Supporting the model software platform allows the execution of all “normal” business operations: from the creation of an organization and hiring workers to task-tracking and communication within the group. It also includes a tool allowing individual workers to request a new task or a role—or change the whole organizational structure, if needed. The Stanford team has tested the concept on three projects: creating an app helping EMS technicians send advance medical reports on their ways to the hospital, building a web application to administer client workshops and designing and manufacturing of a storytelling card game. Although some doubts were raised about the quality of work performed by the flash organizations in the above-mentioned field trials, the potential applications of the model could be enormous. Flash organizations essentially represent a new crowdsourcing approach that enables anyone with an internet connection to create an entire organization from a paid crowdsourcing marketplace and use this organization to pursue complex, open-ended goals. One could also consider using elements of the flash organization model to improve traditional crowdsourcing. For example, by hiring people with complementary expertise and skills and letting them interact, it might be possible to transform a set of separate crowdsourcing campaigns dealing with related problems into a unified R&D project. The major obstacle to realizing this vision today is the way flash organizations hire workers. The hiring process relies on the approach that has long been used to assemble disaster response teams or the Hollywood movie production crews. People in such groups might not even know each other, but because they are familiar with each other’s roles, they act cooperatively based on predefined organizational hierarchy and division of labor. Once the goal of the project has been set, the project leader goes on Upwork (or a similar online labor marketplace) and invites people with profiles fitting the desired organizational structure. What makes this possible is the fact that for the well-defined jobs, such as app or web design, individual Upwork profiles provide sufficient information about professional credentials of their owners. But this is not the case with traditional crowdsourcing. To begin with, it is extremely difficult to define in advance which particular skill, expertise of life experience would be required to come up with a solution to a complex technical or business problem; profile information in the most popular freelance marketplaces would be mostly irrelevant for this purpose. Complicating the matter are academic studies showing that a solver’s likelihood of solving a problem during a crowdsourcing campaign increases with the distance between the solver’s own field of technical expertise and the problem’s domain. How could one define the “adjacent” expertise crucial to solving a particular problem? Improvements to the flash organization model—most likely involving AI algorithms—will therefore be needed to make flash organizations a mainstream approach to executing crowd-based business projects. This entry was posted in Crowdsourcing and tagged Crowdsourcing, Edge of Innovation, Flash organizations, Innovation, Innovation Management, innovation tools, Open Innovation, Open Innovation Tools, R&D processes. Bookmark the permalink.